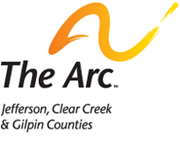 The Arc – Jefferson, Clear Creek & Gilpin Counties’ Educational Advocates provide general support that is not disability-specific (meaning that it doesn't matter what diagnosis a person carries). Our knowledge is based in the Individuals with Disabilities Education Act (IDEA), Section 504 of the Americans with Disabilities Act (ADA), and best practices in special education. The Arc uses a consensus model to maintain a positive working relationship between parents and school leadership, with a focus on a student-centered and compliant IEP. We are not a legal service. As your child’s parent or guardian, you know them better than anyone else. Our goal is to empower you with knowledge and resources so you can be your own best advocate. Our support is focused on a single issue as opposed to ongoing support. Should future needs arise, you may contact us again. Our support is subject to professional judgement and available resources. The Arc reserves the right to terminate support if the family does not take the professional advice provided. If a family is supported by a private advocate, advocacy organization, or attorney, The Arc’s protocol does not allow us to engage with the family as well. When either party (parent or district) engages in the Dispute Resolution process, The Arc’s protocol does not allow for participation at this level. The Arc prioritizes individuals with Intellectual/Developmental Disabilities (I/DD). I/DD is a condition that involves significant limitations in both intellectual functioning and adaptive behavior, which impacts many everyday social and practical living skills.